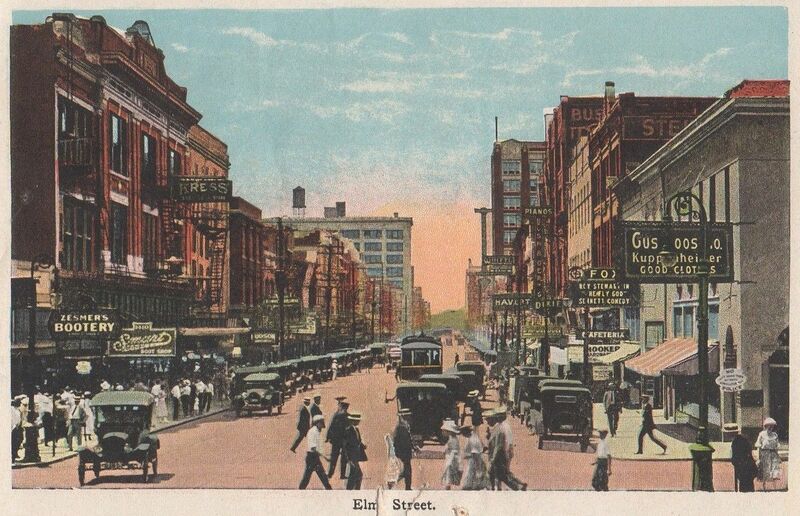 A bustling Elm St. — looking west from Akard — in “color,” in the early ’20s. I love this. You can practically walk down the street and window-shop. Click for very large image.